Encouraging the overall development of children (cognitive, physical, social, emotional and aesthetic). The children that we chose to work with come from a very vulnerable group of families. A large number of the parents that are involved in this project are illiterate, they spend their whole day outside looking for an alternative way of subsistence, or have multiple children, so they aren’t able to pay enough attention to all of their children and help them with their struggles at school. As a result of this, and of the lack of motivation that parents show for education, we are facing a decreased interest and understanding for the classes at school, at a time when the school curriculum is being altered to fit the Cambridge program which is much more complicated and advanced and will definitely make the educational process for Roma children even more difficult. At the Educational Centre Nadez we make sure our children understand the subjects and lessons they learn on daily basis, and we do this every day for a few hours. During this time, we provide alternative education that is interesting for the children, comprehensive, and most importantly focused on smaller groups of children – something that can’t be established in the Elementary School that these children go to. 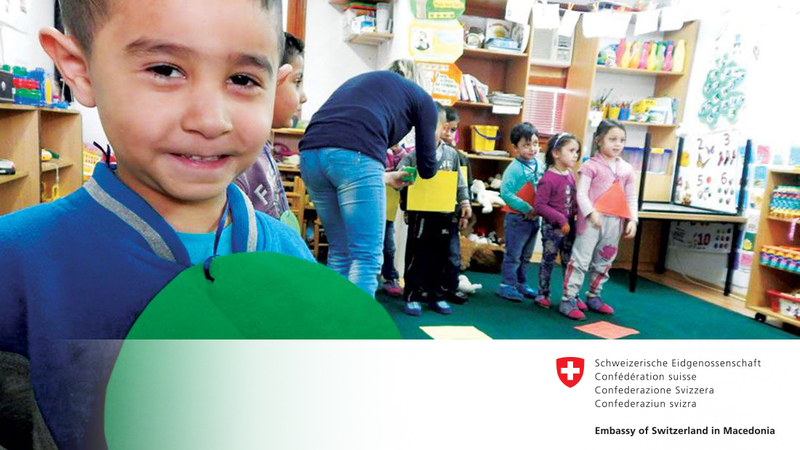 40 Roma children from Shuto Orizari aged 4 and 5, coming from poor and socially endangered families, young parents, single-parent families, families who get social benefits and large families.